Robert Corchado, the man police believe to be the driver in Wednesday's deadly hit-and-run crash at an Orlando day care, has turned himself in to authorities at the Orange County Jail, according to the Facebook page of Florida's Department of Highway Safety and Motor Vehicles. Earlier Thursday, spokeswoman Wanda Diaz said in a statement that Corchado - who has been arrested eight times since 2000 - was driving a Dodge Durango that struck a Toyota Solaro convertible, which jumped a curb and smashed into the KinderCare building in the Orlando area. Four-year-old Lily Quintus was killed, and 14 other people, mostly children, were injured. The convertible's driver wasn't injured. "I have no idea how any of us are going to just wake up in the morning and go on with our lives," Lily's mother, Nicole Quintus, told CBS News. Lily was at a table waiting for an afternoon snack when the car hit. "I have no idea how anyone loses a child and then tries to have a life of normalcy," Quintus said. "I'm clueless. He did not just hurt my family - he destroyed my family - but he hurt all of the children in that school whether they were injured or not. Those kids watched other kids being run down and they're going to be scarred for life and he needs to answer for that." Local television footage Wednesday showed small children and infants in cribs being taken outside to the day care's playground. Several of the injured were carried out on stretchers. Late in the day, parents could be seen waiting to pick up their children, and then clutching them in their arms as they were escorted to their vehicles by authorities. "She was four years old and she had a life ahead of her and he took that away from her and she deserved so much more," Quintus said. "And she'll never have it." 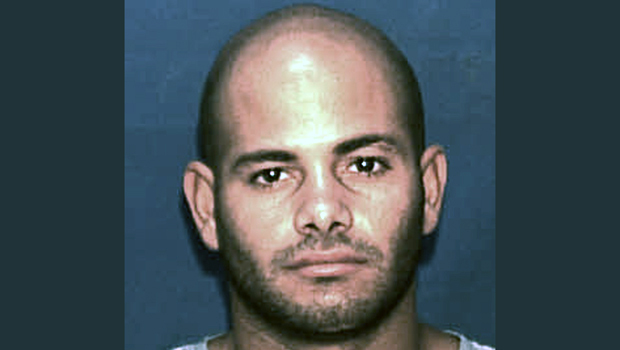 Authorities said Wednesday that they were searching for Corchado, who they believed was heading to Orlando International Airport in an attempt to flee the area. Corchado's most recent arrest, in December, was on a misdemeanor charge of leaving the scene of a crash involving damage, a felony charge of selling narcotics, and felony marijuana possession. He was released on more than $10,000 bond and pleaded not guilty to those charges. A website has been set up to help pay for Lily's funeral.On Thursday, people left stuffed animals at the day care center for the children who had been injured.